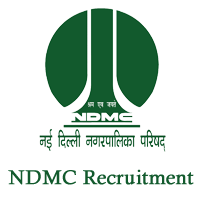 NDMC Jobs Recruitment Notification 2018.New Delhi Municipal Council, NDMC inviting applications for the positions of Assistant Audit officer.Interested and Eligible candidates can apply for the positions. Last Date for Submission of Application is on October 22nd, 2018.. Number of Assistant Audit Officer going to be filled at this term is 33 In NDMC. Candidates those who are holding analogous position or worked as Section officers for 3 years can apply. 56 years is the upper age limit for candidates in order to apply. Mode of applying for NDMC recruitment is through offline. Last date to submit application forms is 22nd October 2018. Candidates may download application form through https://www.ndmc.gov.in/ and send to below given address. Room No. 5001. 5th Floor, Palika Kendra, Sansad Marg, New Delhi-110001.